The JAM Card, which stands for ‘Just A Minute’, is a social innovation from NOW Group, an organisation that supports people with learning difficulties and autism into employment. The innovative JAM’s service users said they would like a discreet way of telling people that sometimes they need a little extra time and patience. The JAM Card was created first as a credit card sized card and has recently been developed into an app for smartphones. Staff from firmus energy have recently undertaken JAM Card awareness training which has provided them with the knowledge they need to ensure that users of the JAM Card feel welcome in their establishment and when our team is in customers’ homes. There are currently over 20,000 Jam Card users and 2,500 people using the app in Northern Ireland. 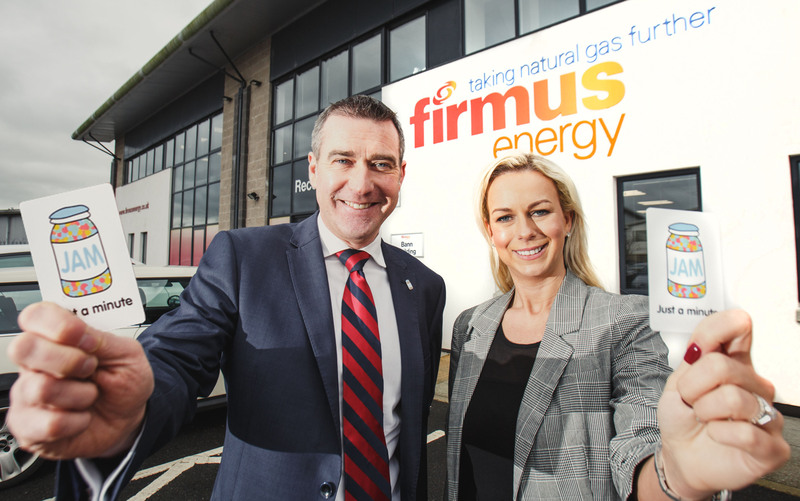 Diane Hill, Director of Business Development at NOW Group, said “We are delighted to welcome firmus energy to the JAM card family and applaud their commitment to delivering excellent service to all their customers. Originally developed by our participants with learning difficulties and autism, the JAM card is now being used by a wide range of people facing communication barriers including dementia, brain injury and stroke. It is reassuring for customers using the JAM card to know that firmus staff have been trained to recognise that they might sometimes need just a little more time."